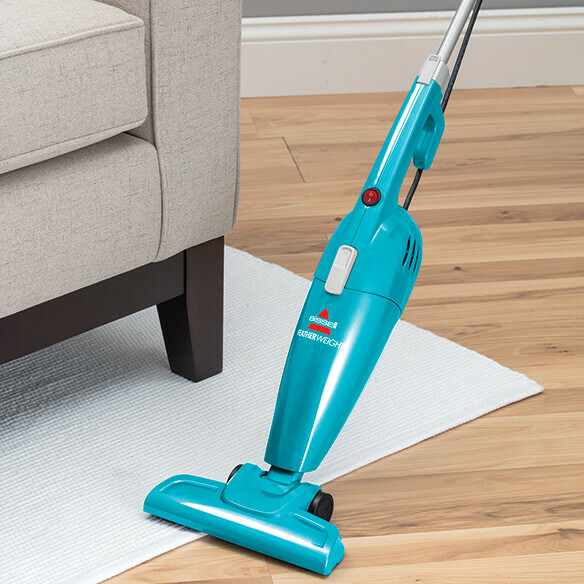 Bissell® FeatherWeight™ vacuum has a sleek, lightweight design that lets you clean your home quickly. 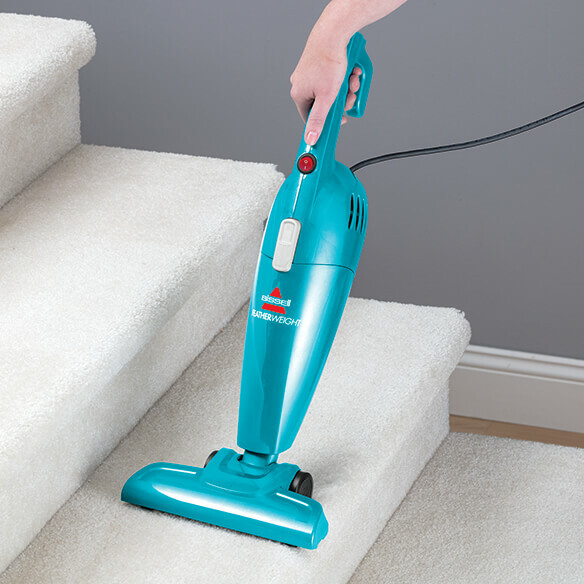 Bagless and easy to use, this small vacuum converts from a floor vacuum to a hand vacuum. Use on bare floors, carpet, furniture, drapery and more! Ergonomically-designed handle provides comfort and flexibility. 16' L cord. No express shipping. So easy to get into small areas and so light. Would like another one for convenience. Having had extensive back surgery, this allows me to clean up in between the heavy vacuuming. Enjoy using this best sweeper do to its easy operation and sorry I didn't have it a long time ago. It definitely replaced my heavy vacuum. 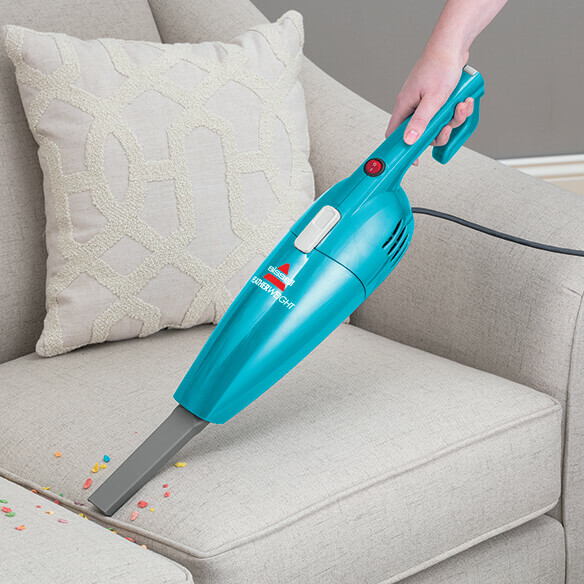 This Bissell FeatherWeight Vacuum is wonderful! I can move around with it. It is easy to use, clean, and put up! I absolutely love it! It is also great for quick pick-ups, when company is coming! Great buy!! Great for hardwood, or tiled floors. It's light weight and the hand vacuum is very useful. Just moved. Needed to replace older items given away before move. I really needed a light weight vacuum that doesn't have to be recharged. Looking forward to trying this Bissell. I need a light-weight vacuum cleaner. This small vacuum will meet my needs as I am down sizing and moving into a senior community. Bissell is a good product; and perfect for a small apartment. It's light and made by a reputable company. Because I think it will be easy and convenient to use. I can use it for all different purposes plus the added benefit of using the hand vacuum. I need a lightweight vac since I am getting up there in years and can't lug around a big vac. With a name like Bissell, I thought it was worth a try! This will be perfect and handle for vacuum my very large area rug in living room and my chairs. I need a good light weight vacuum and this looks great. Need a new vacuum for a small apartment, this seemed to fit the bill. It seems like a great price for a light sweeper and we can also use it to clean our chairs. been wanting one for my home and have decided to get this onel I like how it can be used on all the floors and as a handheld one tool thanks. I chose this featherweight vacuum because it will make cleaning so much easier, especially if it will be easier to lift! Bissell products stand up to their name. I have a sweeper and I really like it. It's small and very easy to use. I need a very lightweight sweeper; hope this fills the bill. ITS LITE WEIGHT AND ITS GOOD ON MY BACK COMPARED TO MY OLD VAC. It will be easy to handle and take the place of a big vac. Lightweight. Cannot pick up much weight. Needed something lightweight and small enough for an apartment with carpet and hardwood floors. BEST ANSWER: Thank you for your question. It weighs 5 lbs. We hope this information will be of help to you. Does this stick vacuum require a filter, if so is it washable? BEST ANSWER: No filter required. Just empty & rinse the cup. Do you plug it into an outlet? BEST ANSWER: Yes,you do plug it into an outlet.It works really well and I just love it. It has a small filter cup which has to be brushed off occasionally to work effectively. Thank you for your question. 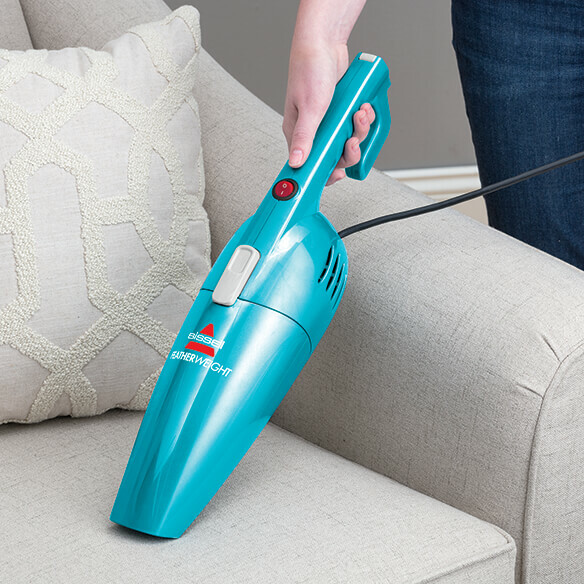 The Bissell FeatherWeight Vacuum is a plug vacuum that will need an outlet. We hope this information will be of help to you. does this have rotating bristles in the vacuum head? BEST ANSWER: Thank you for your question. Yes the Bissell Feather Weight Vacuum has rotating bristles in the vacuum head. We hope this information will be of help to you. 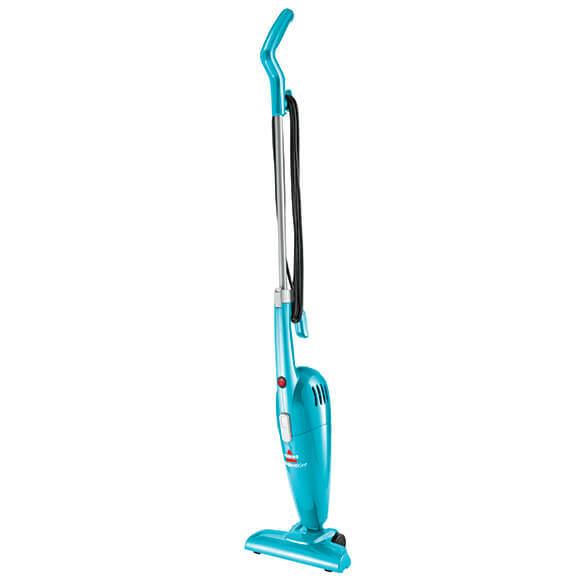 CAN YOU PLEASE TELL ME IF YOU ALSO CARRY THE FILTER FOR THIS VACUM CLEANER? BEST ANSWER: Thank you for your question. Unfortunately we do not carry the accessories for this item. We hope this information will be of help to you.